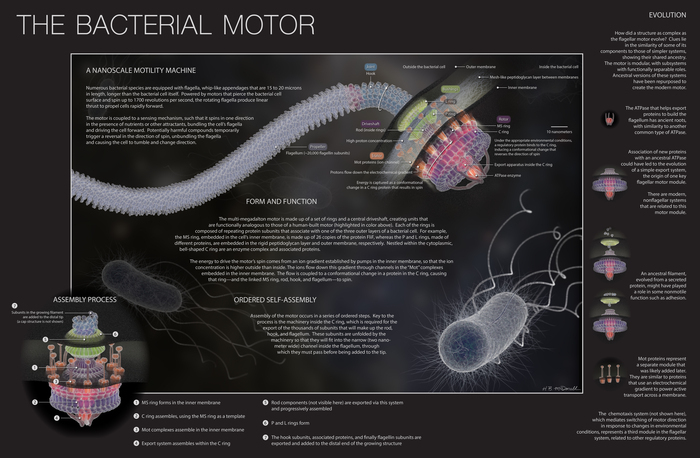 Scientific visualizations are a great way to convey knowledge to a lay audience. See one you like? Cast your vote for the best vizzy by December 4. Scientists make amazing discoveries every day, adding to the ever-growing store of knowledge about our world. But outside of classrooms and conference presentations, how does that information get shared with the public? How are new theories and new ideas disseminated in a way that makes those discoveries vivid, interesting, and relevant? Put your mind to it. 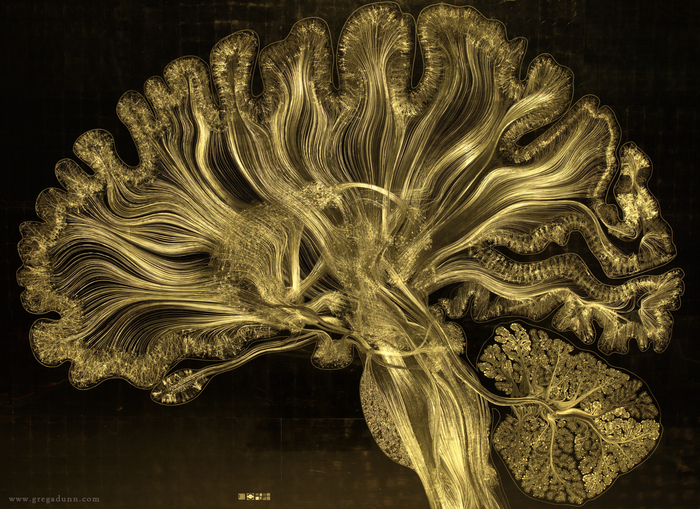 Artist Greg Dunn invented the technique of reflective microetching to illuminate the wonder of the human brain. Courtesy Greg Dunn; Will Drinker. Enter the 15th Anniversary Vizzies. A co-production of the US National Science Foundation (NSF) and Popular Science, this annual visualization challenge aims to identify and reward the most beautiful visualizations from the worlds of science and engineering. Entries are accepted in five categories: photo, illustration, poster/graphic, interactive, and video. Each needs to convey science, technology, engineering, or mathematics principles, explaining some aspect of the world that people don't typically see. This year’s entries range from a poster explaining the apparatus that allows a chameleon to capture its prey with tremendous speed and accuracy to a photograph of the multi-colored beauty of fossilized dinosaur bone under the microscope. “Self Reflected,” a finalist in the video category, combines art and science in an attempt to transform how we view the human brain. The artists used reflected light to create animated images of the brain’s elaborate electrical choreography, simulating the brain’s behavior in response to neural activity, such as dancing, petting a cat, or typing an email. The interactive category offers several educational modules, such as a virus explorer, a gamelike tour of a human cell designed for first-year college students, and a lexical database of American Sign Language (ASL). The ten finalists in each category will be judged on their visual impact, effective communication, and originality, and winners will be announced in March. But from now until December 4th, you can exercise your own unique brain and cast a vote (in the People’s Choice category) for the best-looking science out there. Eleanor Lutz's virus trading cards. Bernhard Jenny's interactive C02 map.